We’ve all heard the saying: “You’ve gotta kiss a lot of frogs before you meet a prince”. Whilst it’s not recorded who coined that famous quip, I like to think they probably worked in sales or business development. And, more specifically, that saying is most apt in the area of strategic partnerships. Well, more so than with direct selling, strategic partnerships can be less clear-cut and more difficult to nail down (the exception to this being high-value B2B sales which are equally complex). In the frog analogy, this would equate to 1) finding a frog, 2) kissing the frog and 3) the frog turning into a prince. The last part is undoubtedly the hardest to achieve and, if it doesn’t happen, you’re left with a frog. In the first phase of identifying strategic partners you will usually develop a profile of the ideal organisation, based on a number of criteria unique to your business. This could include for example, geography, markets served, size of organisation, capabilities and competences, etc. So this phase requires some research and strategic thinking; essentially working out what your frog looks like (frogs come in all shapes and sizes) and where the best pond is to find them. Taking the time at this phase will save you considerable resource further down the line. Next you need to engage with potential partners, or “get them to kiss you”, if you will. (Although it really ought not need to be said, I’d like to point out that all frogs must be willing participants in the kissing). How you engage with potential partners will vary but will typically include developing a proposition that is attractive, reaching out and starting a conversation with the right stakeholders. You may also be seeking to engage with a variety of frogs so you’ll need to tailor your approach for each type. If these first two phases are implemented effectively, then kissing frogs is relatively easy. The difficult bit, however, is getting them to turn into a prince. Or, more accurately, discovering which ones are really princes after all. You see, the reason it is difficult to find a prince is that it is largely out of your hands. Yes you can create an attractive deal, with all the right support and incentives but, ultimately, the partner has to do their bit. Without that, whatever the deal, it won’t happen. How do you know in advance whether they will become a “prince”? You have to kiss them to find out. Keep in mind that the upside of successful strategic partnerships can be huge for many companies. Access to new markets, new technical capabilities, and new revenue streams can truly transform your business, which is why they are worth the effort. So, what’s the best approach to take when seeking to build strategic partnerships? Firstly, as already stated, the better you research and prepare in the earlier phases, the more you can mitigate some of the costs in your frog-kissing endeavours. Taking the time to map the market landscape, understanding the key players and stakeholders it a critical step. 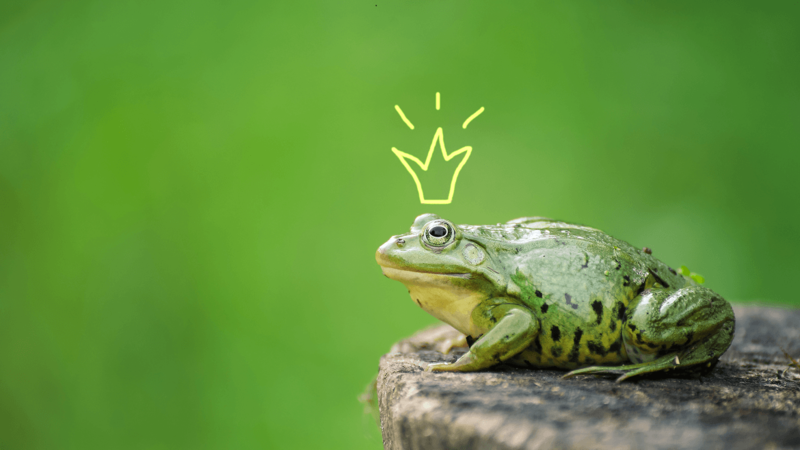 Also, as well as identifying individual organisations, you need to map capabilities (yours and those of an ideal partner) so that you know the type of frog your looking for. By capabilities we look at a range of factors which can include technical competences, size of sales force, business model, etc. Some of these will be “nice to have” but not exclude a company from being a partner; others will be critical for a partner to be successful. As already stated, this isn’t about knowing whether they will turn into a prince or not (you don’t know that until you start kissing) but if they are a prince… they are the right prince for you. Once you’ve identified and evaluated a list of potential partners it’s time to engage and start kissing. I won’t go into the range of tactics available because they will be entirely dependant on your own business and the type of partners you are planning to engage with. We’ve opened dialogues to create successful partnerships for clients with approaches ranging from a simple email through to building sophisticated networks. The right model for you will depend on your market, size of the partner ecosystem and resources available. Whatever your approach, if you want to build successful partnerships the reality is that you’ve got to be prepared to “pucker up”.